Most commonly known as a jumbo stud wall, the 146mm metal stud and track system is a system that incorporates the use of 146mm (jumbo) c studs and deep, or extra deep depending upon final wall height, track. 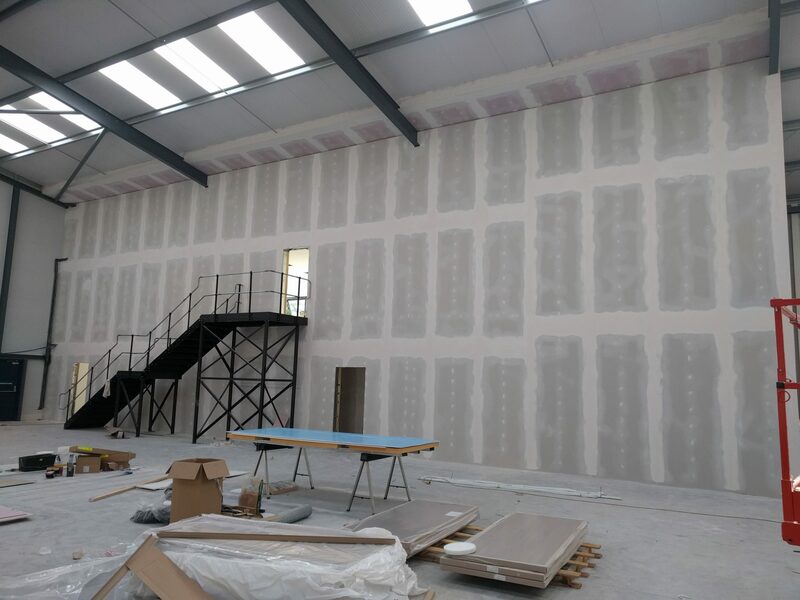 Jumbo stud partitions can be built up to 9.3 metres high (alternative specialist studs can go higher), can provide a fire protection or fire rating of up to 120 minutes, and an acoustic rating of between approximately 50 – 61+ dB (depending upon the plasterboard, insulation and studs used). Utilising the correct boards can also create a robust, impact resistant wall. They are not however as standard load bearing. Jumbo stud partition walls are an excellent and cost effective way to divide up a large warehouse, industrial unit or commercial space into different areas (one of our customers asked us to divide up a large industrial unit so that their customer could downsize and install a mezzanine on the one side; we installed a metal stud fire resistance rated, with acoustic performance, partition system for them). 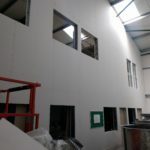 Depending upon the height of the partition and the performance required, various different plasterboards will be fixed to the studs (which will also be at differing centres), in either 1 or 2 layers with insulation if required in the void, with the boards then being taped and fill and painted to provide a neat and clean finish. 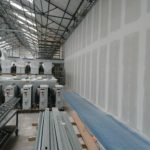 We have installed jumbo stud partitioning for many of our customers; we have divided up warehouses, formed fire walls, and used it to create secure and safe working areas. 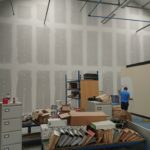 You can be assured that each partition is individually designed depending upon site conditions and requirements – it will be installed according to best working practices and in a safe manner. 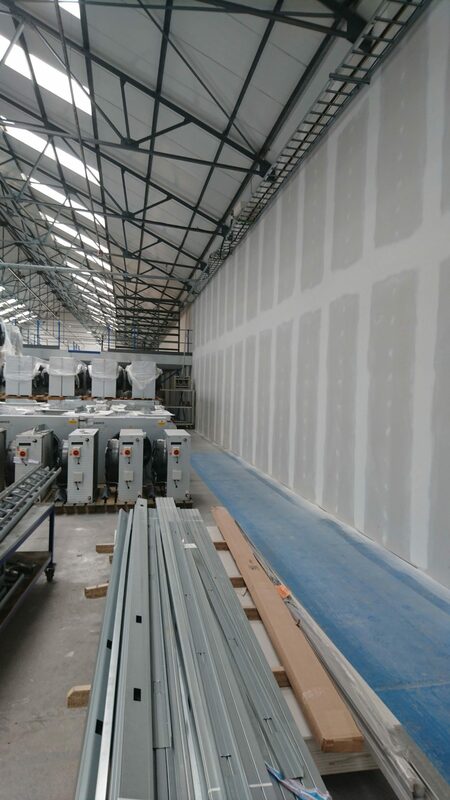 We install the British Gypsum Gypframe 146mm stud partition as standard, but are equally happy to install system from other manufacturers such as Knauf, Tradeline, Metsec or Fermacell. 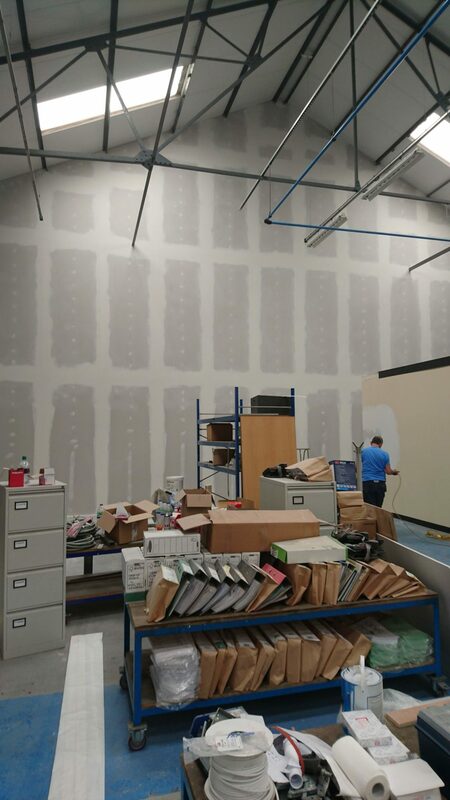 If we can provide you with a quote, or any other information at all about a jumbo stud partition (including any office partitioning and related works that you may require) get in touch with us. 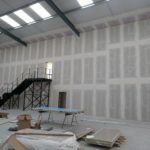 These partitioning systems can also sometimes be referred to as high bay walls. 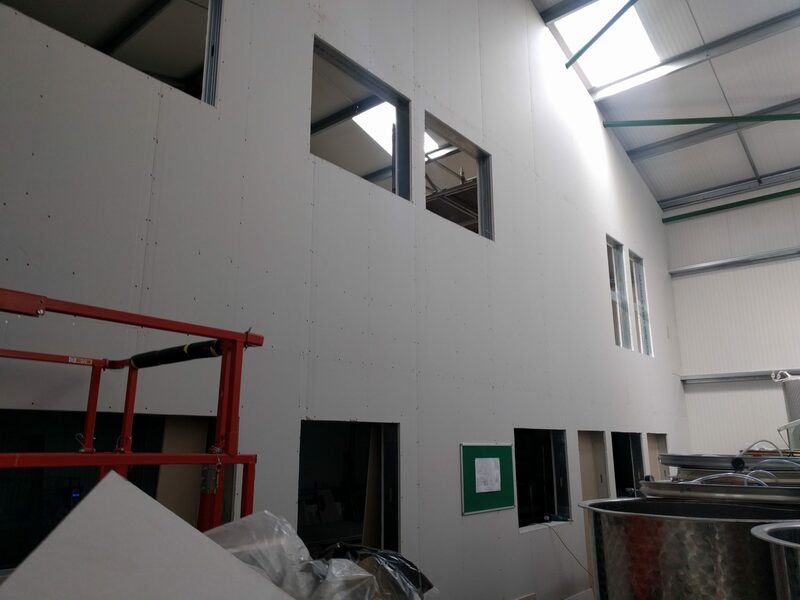 Utilised where a 146mm stud is not sufficient, I studs can be used to create a partition up to 11.1 metres high. Alternative solutions from differing manufacturers such as Knauf and Fermacell are available, please contact us for some further information on these systems.